As we wave goodbye to the 2019 Cheltenham Festival we take a look at the best Cheltenham results and reaction from the four-day meeting. 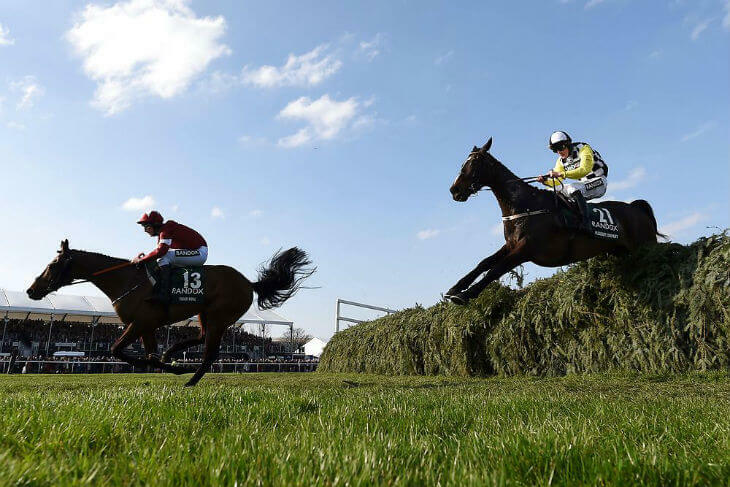 There were certainly many talking points after the 2019 Cheltenham Festival though, including several races that already look to have an impact on the 2019 Grand National results and ante-post markets. Take a look at our analysis of the Cheltenham Festival results and how this could sway your Grand National Betting preferences. We got going with a familiar feel as jockey Ruby Walsh and trainer Willie Mullins teamed-up to give us the first 2019 Cheltenham result in the Supreme Novices’ Hurdle with Klassical Dream. A smooth 4 ½ length success in the end and looks a nice prospect for next season – possibly in the Champion Hurdle or even stepped up in trip. Mullins made it two-from-two in the second race at the 2019 Cheltenham Festival with his Duc Des Genie taking the Arkle by an easy 13 lengths – that also made to 2-0 to the Irish, but the British runners fought back in the Ultima Handicap Chase with the Nicky Henderson team getting their first 2019 Cheltenham Festival result on the board with Beware The Bear. The feature race – the Champion Hurdle – was next up and this looked a match-up between Buveur D’Air, Laurina and Apple’s Jade. However, horse racing and in particular the Cheltenham Festival can often have a habit of throwing up unexpected results. With the two-time champion, Buveur D’Air, falling at the third hurdle and Apple’s Jade and Laurina both running below-par this race threw up one of the biggest shock Cheltenham results in recent times, with not one of the main trio in the top three. This meant a massive 91% of placepot punters were knocked out of that bet, meaning a monster payout was on the cards. It was left for the Gavin Cromwell-trained Espoir D’Allen to pick up the pieces, but after winning by 15 lengths then this improving 5 year-old, who became the first horse of that age to win the race since Katchit (2008), might have won anyway and with time on his side then looks a big player in this division for the coming years. It might have been a crazy Cheltenham result, but it may well turn out that we’ve seen the next big superstar in this division – we’ll see! More drama was to follow as punters lumped on the Willie Mullins and Ruby Walsh runners – Bennie Des Dieux in the Mares Hurdle. The 10/11 favourite looked to have the race in the bag until falling at the last – another shock 2019 Cheltenham Festival result and talking point, plus a tumble that brought back memories of Annie Power’s fall in the same race and at the same hurdle in the 2015 renewal. The Dan Skelton-trained Roksana was left to take the race. A Plus Tard was an impressive 16 lengths winner of the Close Brothers Novices’ Handicap Chase and looks a horse to follow, while Le Breuil landed the amateur riders’ race at 14/1 under jockey Jamie Codd. With the day one certainly going the way of the bookmakers the punters were slightly on the backfoot heading into the second day so were hoping for better Cheltenham results on the Wednesday. City Island out battled the well-fancied Champ to land the opening day two race – the Ballymore Novices’ Hurdle – and at 8/1 it was an average start for both the bookmakers and the punters. The RSA Chase threw up a classic Cheltenham result of the 2019 Festival as the three main fancies in the race – Topofthegame, Santini and Delta Work – fought out a great finish with the trio pretty much jumping the last together. However, it was the Paul Nicholls-trained Topofthegame that lived up to his name and provide Nicholls with this first win of the 2019 Cheltenham Festival – next stop for him could be the Betway Bowl at the 2019 Grand National meeting. The Nicky Henderson-trained William Henry flew from the clouds to land the Coral Cup at 28/1, but next up it was the turn of Altior in the Queen Mother Champion Chase. He was sent off at 4/11 to win the race for a second year and even though he had a few scares along the way got the job done in the end by 1 ¾ lengths. In the process, he became the first horse that won at the 2018 Festival to follow-up in 2019. Last year’s Grand National winner – Tiger Roll – never had a moment of doubt in the Cross County race to win by a massive 22 lengths – next stop could be the 2019 Grand National, that – don’t forget – he won last year. Tiger Roll is now around 5/1 in the betting for the 2019 Grand National and looks set to go off as one of the shortest Grand National favourites in recent times. Should the 2019 Grand National result go his way for a second year then he’ll be the first horse to do so since Red Rum in the 1970’s. Band Of Outlaws provided trainer Joseph O’Brien with his first Festival success in the Boodles Juvenile Hurdle (Fred Winter), while jockey Jamie Codd landed the last race for the second day in the row with a strong ride on Envoi Allen to take the Weatherbys Champion Bumper. This Gordon Elliott-trained runner was well-backed in the build-up to the race so this ended the second day being a great Cheltenham result for punters. With day two ending with a string of favourites winning and, therefore, some bad Cheltenham results for the bookmakers, it turned out to be more of the same on Day Three with the layers now running for cover with three of the first four favourites winning. Defi Du Seuil got Cheltenham Festival favourite backers off to the perfect start in the JLT Novices’ Chase. The horse was also recording his second Cheltenham Festival success after winning the Triumph Hurdle in 2017. He is owned by popular owner JP McManus and his famous green and gold silks followed-up in the second race with Sire Du Berlais rallying late to land the second Cheltenham result of the day in the Pertemps Network Final Hurdle. The Ryanair Chase was next up and it was emotional stuff as jockey Byrony Frost led from pillar-to-post on the Paul Nicholls-trained Frodon to win this day three feature and in the process become the first female Grade One Festival winner. A cracking moment and certainly one of the 2019 Cheltenham Festival results highlights. It certainly made your hairs on your back of your neck stand up. The Stayers’ Hurdle was the next race to take in and all eyes were on the hot favourite – Paisley Park – as he was looking to follow-up his Cleeve Hurdle success here back in January. Last year’s favourite Sam Spinner ran a gallant race to be second, but Paisley Park came with a decent finishing effort to get the job done by 2 ¾ lengths in the end. It’s unlikely we’ll see this horse at the 2019 Aintree Grand National Meeting though as his trainer – Emma Lavelle – has already started he’s had a hard season. However, there could be more to come from this improving staying hurdler and connections have already said he’ll be kept hurdling next season too so we could easily be seeing this same Cheltenham Festival result for many years to come. It was certainly ‘Girl Power’ in the next race – the Brown Advisory & Merriebelle Chase as jockey Lizzie Kelly rode a cracking race to win from the front on the Nick Williams-trained Siruh Du Lac at 9/2 – a Cheltenham result that saw him beating the hot favourite – Janika – into second. We finished with another shock Cheltenham result with a 50/1 and 66/1 first and second in the Mares’ Novices Hurdle at 4:50 – both mares were trained by Willie Mullins and with Noel Fehily riding the winner he quickly announced his retirement from the saddle. We ended with another McManus-owned winner – his third on the day – as Any Second Now landed the Kim Muir for top amateur jockey Derek O’Connor. On what looked a tough final day at the Festival, punters were hoping for the perfect Cheltenham result in the opening contest – the Triumph Hurdle – as we had a hot favourite – Sir Erec. However, after a delayed start due to the favourite having to be re-shoed disaster stuck during the race as sadly the Joseph O’Brien-trained hurdler suffered a fractured leg after jumping a flight and had to be put down. That left a bitter taste to the race, that was eventually won by the Nicky Henderson-trained Pentland Hills – that was the yard’s third win on the week. Next up was the competitive County Hurdle and this provided trainer Dan Skelton with his second 2019 Cheltenham Festival winner after battling up the hill to win by 1 ½ lengths in the end. The ultra-competitive Albert Bartlett Novices’ Hurdle was another good Cheltenham result for the bookmakers as the Henry De Bromhead-trained Minella Indo (50/1) was a big-priced winner of the race to deny the hot favourite Commander Of Fleet. It was the ‘big one’ next as all eyes turned to the Cheltenham Gold Cup. A renewal with many chances and the race was looking like being a repeat of last years battle as Might Bite and the 2018 hero Native River began to slog things out at the head of affairs. However, they couldn’t sustain that gruelling gallop and that left the race open to something to come just off the pace. That horse was the Willie Mullins-trained Al Boum Photo, who fell in last year’s RSA Chase when looking booked for a place. This improving 7 year-old provided jockey Paul Townend and trainer Willie Mullins with their first winners in the Gold Cup and with time on his side looks set to be a big player in this race for many years to come. Anibale Fly, who had a Grand National result of fourth last year, filled second in the Gold Cup, while the popular grey Bristol De Mai manged to run on well to take third. We could see some of these Gold Cup horses in action at the 2019 Aintree Grand National meeting, most notably the 2019 Gold Cup runner-up, Anibale Fly, who is currently the second favourite in the 2019 Grand National betting market, while the Gold Cup fifth – Clan Des Obeaux – has an entry in the Betway Bowl. Bristol De Mai, who heads the 2019 Grand National weights, also ran a blinder to be third in the Gold Cup and is now into around 25/1 in the betting for the 2019 Grand National. The Foxhunters’ Chase gave the chase for the amateur riders to strut their stuff over the Gold Cup trip next and it was the prolific winner Hazel Hill that was the well-backed winner. Croco Bay was the shock 66/1 Cheltenham result of the Grand Annual Chase, while Early Doors won the final race – the Martin Pipe Conditional jockeys’ Handicap Hurdle to give trainer Joseph O’Brien his second 2019 Festival success. Cheltenham Favourites – Where did they place? From the 2019 Cheltenham Festival results we saw nine winning favourites from the 28 races across the four days. We saw six unplaced favourites on the first day, with A Plus Tard (1st 5/1) being the only market leader to win at the 2019 Cheltenham Festival on the opening day. However, the manner of this 5 year-olds victory (16 length winner) suggests he’s certainly a horse to note going forward and looks to have a big future. The Cheltenham Festival results picked up for punters on day two with the last four favourites winning. The 2018 Champion Chase hero – Altior (4/11) – was the first of those market leaders to win in what marked a turning point for punters. The 2018 Grand National winner – Tiger Roll (5/4) – provided a great Cheltenham result to be an easy winner of the Cross Country Chase – a victory that saw him shortened in the 2019 Grand National betting market to around 5/1, meaning should be becoming the first horse since Red Rum in the 1970’s to win back-to-back races. This would be a terrible Grand National result for the bookmakers. Band Of Outlaws (7/2), who won the Fred Winter, and the well-backed Envoi Allen (2/1), who had won the Weatherbys Champion Bumper, rounded off a cracking set of Cheltenham results on day two for punters. The last-named remains unbeaten and with a hurdling career on the horizon next season looks a horse to note. Into the third day and with the first two favourites winning in Defi Du Seuil (3/1), who won the JLT Novices’ Chase and Sire Du Berlais (4/1), who took the Pertemps Network Final Hurdle, this meant the bookmakers were now running for cover with a set of Cheltenham results that saw six favourites win in-a-row. Things didn’t get much better for the layers in the next two races, with the well-backed Frodon (9/2) winning the Ryanair Chase and despite not being sent off as favourite this was still a bad Cheltenham result for the bookmakers. Paisley Park (11/8) landed the Stayers’ Hurdle as the well-supported favourite in the next – meaning punters had just witnessed seven of the last eight market leaders winning. As we moved into Gold Cup Day things eased off for the bookmakers with just one winning favourite – Hazel Hill (7/2) – and with that coming in the Foxhunters’ Chase then this was certainly a good overall Cheltenham result for the layers. With Gold Cup fancies. Clan Des Obeaux, Native River and Presenting Percy all out of the frame in the main race this also provided the bookmakers with a top Cheltenham result in the biggest contest of them all. The winner of the 2019 Cross Country Chase at the Cheltenham Festival – Tiger Roll – was the big talking point in terms of horses that ran well at Cheltenham that are also on target to run in the 2019 Grand National. This Gordon Elliott-trained 9 year-old was backed into around 5/1 (from 12/1) after his recent Cheltenham success, meaning should he go onto win the world greatest steeplechase on Saturday April 6th, this would be a terrible Grand National result for bookmakers. That Cheltenham win was his fourth at the Festival – having won two Cross Country races, a Triumph Hurdle, plus the 4m race there over the years – a top set of Cheltenham results that have made him a firm favourite with punters. Other horses to take out of the 2019 Cheltenham Festival that could head to the Grand National are Gold Cup second and third – Anibale Fly and Bristol De Mai. Anibale Fly was fourth in the 2018 Grand National and is now one of the second favourites in the 2019 Grand National betting market, behind Tiger Roll. The 2019 Grand National top-weight – Bristol De Mai – could also head to Aintree in early April and that excellent Gold Cup third saw his Grand National odds coming into 25/1. What do Cheltenham Results mean for the Grand National? Despite looking poor value in the 2019 Grand National betting now (around 5/1), it’s still hard to ignore the chances of last year’s Grand National winner -Tiger Roll. After landing the Cross Country race at the 2019 Cheltenham Festival for a second year – a race he also took in 12 months ago before going onto Grand National glory – he looks set to go off as one of the shortest favourites in the race for a long time, which will mean that should he win, it will be a shocking Grand National result for the bookmakers. Other Grand National hopefuls that did their chances no harm at Cheltenham were Gold Cup second and third – Anibale Fly and Bristol De Mai – who are around 12/1 and 25/1 in the betting for the 2019 Grand National. A horse that ran below par at Cheltenham and looks to have a bit to prove now is Minella Rocco. This 9 year-old was well-fancied in the Ultima Chase on the opening day but was never travelling in the race and was eventually pulled-up in the race. He’s won just once from 15 runs over fences now and it will be a shock Grand National result if he can bounce back from that dire Cheltenham effort. The Cheltenham Gold Cup is the showpiece event at the four-day Cheltenham Festival, which is held each year in March. The race more often than not attracts the biggest betting turnover at the whole meeting. A bit like the Grand National, the Gold Cup often attracts ‘once-a-year’ punters to place a bet on the race, which is another reason why the bookmakers like the race so much. Run on the final day of the four-day Cheltenham Festival, the race is staged over a trip of 3m2 1/2f so a mix of stamina and speed are often wants needed when trying to find the winner of the Cheltenham Gold Cup. Golden Miller (1934) won both the Cheltenham Gold Cup and the Aintree Grand National in the same season and remains the most-recent horse to win both these big races in the same year. In more recent times, Best Mate, landed three Cheltenham Gold Cup between 2002 and 2004, while the popular Kauto Star became the first horse to win back his Gold Cup title with wins in 2007 and 2009. The Willie Mullins yard grabbed their first Cheltenham Gold Cup in 2019 when the 7 year-old Al Boum Photo landed the spoils under jockey Paul Townend, who was also winning the race for the first time. In the last 17 years we’ve seen 8 winning Cheltenham Gold Cup favourites land the prize, while every winner since 1999 has been aged 9 or younger. With the Cheltenham Gold Cup favourite – Presenting Percy (10/3) only managing to finish eighth in the race then this alone meant it was a great Cheltenham result for the bookmakers. Not only did the favourite not win, but it was also unplaced. Add in that the Gold Cup top three horses returned 12/1, 22/1 and 18/1 and that the other main fancies in the race like Clan Des Obeaux and Native River were also unplaced then this was certainly a Cheltenham Festival result that went the way of the bookmakers. With the Gold Cup not being a handicap then the traditional payouts for each-way returns is just the top three finishers, but many firms will enhance these terms to top four or five in a bid to attract customers. We can expect these extra-place offers to be on show in the lead-up to the 2019 Grand National too. Also, look out for faller insurance deals – meaning you’ll get a refund should your horse fall or unseat during the Grand National. It always helps with their being many fancies leading up to the Gold Cup, so just like the Grand National this gives punters more options and more opinions on the races. Unibet tends to provide their players with a plethora of promotions. Their welcome offer definitely deserves a big plus in our book as it allows you to stay in the game if your first bet loses. You can also enjoy the additional casino funds that come with this promotion. All in all, this is a really good welcome offer, in our opinion. Paddy Power also gives you a risk free bet which helps you to bet more freely as a new customer on this platform. Yet the amount of their welcome bonus is not as high as the previous operator, but there are other perks of using this online bookie. You can find more about it in the online reviews of this online bookie. As for bet365, we are happy to say that this already established brand has their own signup offers as well. To find out more about these promotions and this operator, make sure to visit their website and check out their Promotions page. As you can see, there is a good reason why these three brands are in our review. It is now up to you to find the best option for yourself.